Our company's technicians are highly experienced and we're always ready to assist every local homeowner with any garage door related need. You can find out more about how our technicians can help you by checking out our latest projects. 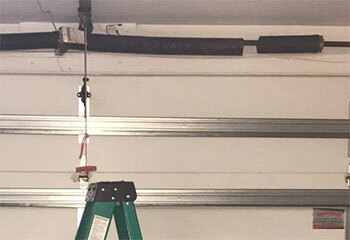 Customer Issue: Mrs. Havaz’s garage door continually opened itself again after closing partway, and she found the sensor lights off. Our Solution: This sensor realignment was a bit more complicated than most, since one of the photo eyes had slid downward as well as turned outward. The team had to completely remove and reattach the photoeye sensors to align them properly, but the results were satisfying. Our Solution: Our technician showed Mr. Hunt a Chamberlain model #C455 opener with smartphone capability and he was happy with the suggestion and low price. Once installed, he made sure the opener was working properly with the door. 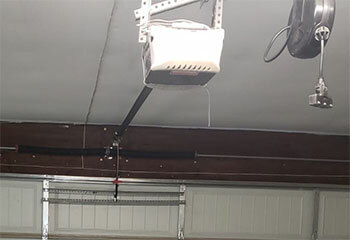 Customer Issue: Garage door opener repair. 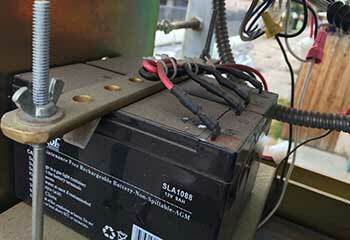 Our Solution: Our technician discovered frayed wires leading to Mr. Baker's opener. He replaced the cord and this completely cured the problem. He made sure the door was properly balanced and tested the opener's operation before leaving. 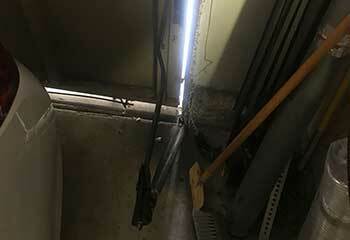 Customer Issue: Mr. King called for our help to replace a broken garage door spring. Our Solution: Our technician replaced both springs with stronger units. He then lubricated and balanced the door and tested it it to make sure it was operating properly.